Cato and Macro invade your mobile! The Cato and Macro battle game, available to download now for FREE on your mobile and tablet. 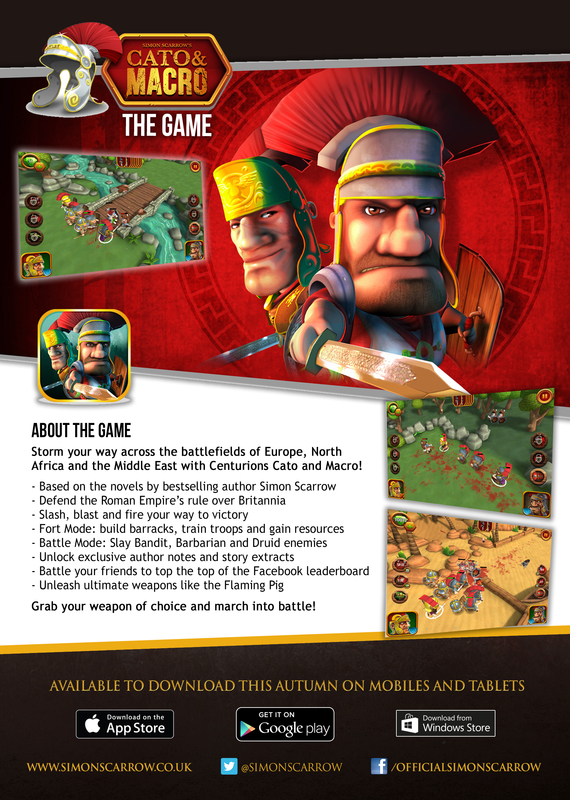 Immerse yourself in a fast-paced, fun and addictive game featuring the Romans versus the Barbarians. Unlock extra content, win prizes, and prove yourself on the battlefield. Roma Invicta! Cato and Macro: The Game is available NOW on iOS and Google Play. If you’ve got a Windows Phone, a Windows 8 version of ‘Cato and Macro: The Game’ is set to be available for download early in 2015!